The Independent Label Services Group (“ILS”), a leading worldwide entertainment distributer and marketing company with ties to Universal Music Group and Caroline International, today announced the appointment of Eric Alper as Director of Media Relations. In this role Alper will drive key media outlets to the artists and labels distributed by ILS, as well as oversee ILS’s relationships around the globe. 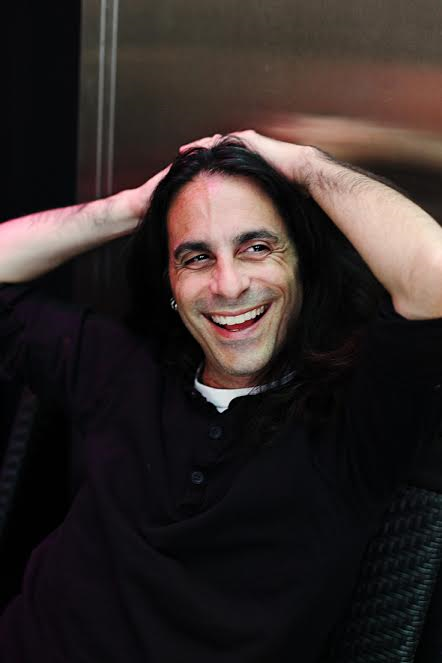 Formerly with Entertainment One, Eric Alper is renowned as one of the world’s top publicists and brings to ILS over two decades of music industry and public relations experience. "It's like coming home. ILS Founder Dominique Zgarka hired me at KOCH Entertainment (now eOne Music) 18 years ago. I couldn't be more excited to join the ILS family and to be working with ILS’s newly-signed artists Fred Eaglesmith, David Clayton Thomas, Brian McKnight, Eliot Lewis, Slaves On Dope, to name a few," said Alper. “Working with the top PR and radio promotion firms internationally is a dream for me, and the ILS Group is an excellent company that is well positioned for growth with its committed team. I look forward to being a part of the leadership of this remarkable organization as we move forward." Eric Alper has been a publicist in the music industry for over 20 years, handling the PR for such artists as Bob Geldof, Judy Collins, Randy Bachman, The Cult, Ringo Starr, Slash, The Wiggles, Bush, Steve Earle, Snoop Dogg, The Smashing Pumpkins, Ray Charles, Little Steven, Sinead O'Connor, Sesame Street among hundreds of others. Alper is also the host of SiriusXM’s ThatEricAlper show, airing 6 times a weekend, CTV's music correspondent and a regular contributor to CBC Radio, Country 92.9 in Chatham-Kent, AM 640 in Toronto, and CJBK AM in London, The Jewel FM Network, and Zoomer Radio. Alper has been named Billboard Magazine, Paste Magazine and The National Post's best on social media and has over a million followers combined on Twitter, Facebook and Instagram. ILS offers worldwide and/or specific territorial distribution via its sub distribution arrangements with Universal/Caroline. The role of ILS is to provide third party labels and significant self-represented artist a turnkey solution to the best possible distribution, marketing and promotion with optimum results. ILS is closely partnered with top independent radio, publicity, synchronization, and social media agencies worldwide which can be tailored to augment our in-house services on a project-by-project basis. Our growing family of labels and artists include Brian McKnight, Randy Bachman, Dada Life, Daniel O’Donnell, Gus G, Heather Nova, Emily Kinney, Mishka, Call me Kat, Rachael Sage, Eric Johnson, Wolfgang Gardner, Take 6, Gino Vannelli, Lee Aaron, K’s Choice, Sono Recording Group, Detroit Public Television / PBS, Kultur Visual Entertainment, Mishka Music, MPress Records, Culvert Music, Radiata, Frostbyte Media, Blackhawk Records, Angel Thorne, Big Big Music, Delta Sounds, Cordova Bay, Dismanic, Bomb Shelter, Strega Ent, Drew’s Entertainment, Ken @ Igor Music, Mind Over Records, Makaki Music, Sonorous Records, Factory Underground, The Hip Abduction, Dundas Music, Mainstream Sounds et al.